I’ve been a Julep Maven subscriber off and on for several years. They’ve recently expanded their product offerings beyond just polish and also create makeup, body products and now beauty tools! 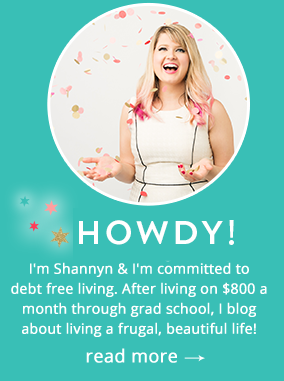 Julep Maven is $20 a month and can be somewhat customized. If you don’t like the box, you can skip a month. I like their lip gloss and LOVE their sprayable body oil (one of my faves) but their blush is good too! This Plié Wand (which I of course, didn’t see the accent during the unboxing and totally said it wrong, ha!) is going to be an awesome new tool- it’s supposed to help you do nail art and of course, the tricky opposite hand! There are months I’d skip, but the colors make great gift if you don’t want them. The polishes are really pretty and now that they’ve expanded their product offerings, Julep Maven offers more options for you, it’s more of a beauty box than a nail product box! If you’d like to subscribe, I’d love for you to use my affiliate link to subscribe to Julep Maven! Thanks muy mucho- I love me some Julep Maven! Now when you sign up you get the Always Sunny Beauty Gift filled with over $130 worth of Julep fan favorites. 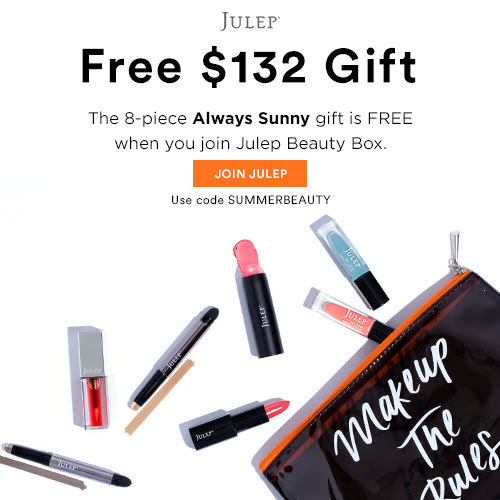 To get this 8 piece beauty gift for FREE, join Julep Beauty Box and add the FREE Always Sunny Beauty Gift to your cart and use code SUMMERBEAUTY at checkout. How Much Of Your Paycheck Should You Save? I think I’m finally going to take the plunge and try this. Note – the price is $24.99 if you’re doing month-to-month vs. $19.99/month for 3-month subscription. Also – if you enter the code FREEBOX at checkout you can get 1 box free of a 3-month subscription!